The report on their deaths is still outstanding, despite repeated requests from The Citizen to the entity responsible for their survival, African Parks, which in January was still finalising the report. Then there’s the issue of collateral damage. “Note that Kruger management recorded 127 natural mortalities of southern white rhinoceroses between the 2015 and 2016 surveys, compared to the 83 noted between the 2014 and 2015 surveys,” stated the 2017 Realization of poaching effects on rhinoceroses in Kruger National Park, South Africa study. 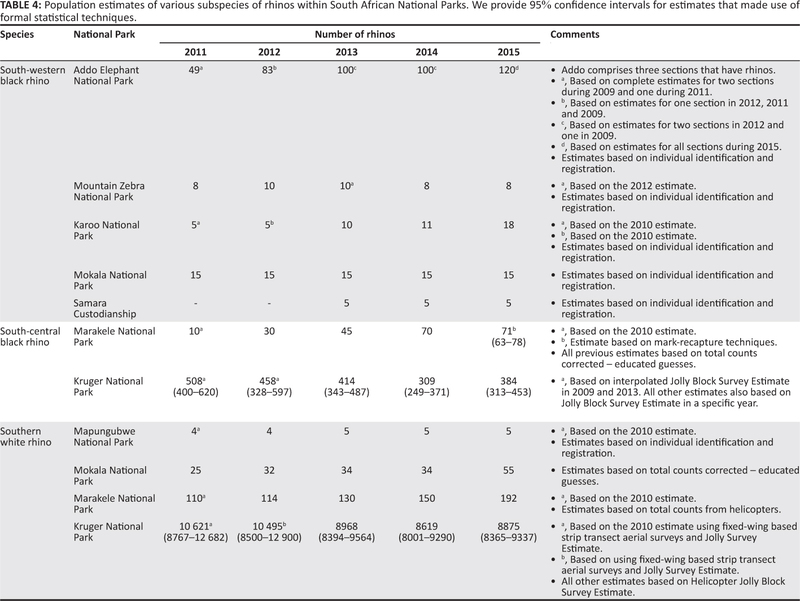 “South-central black rhinoceroses, a browser and thus less sensitive to drought impacts, had 11 natural mortalities between the 2015 to 2016 surveys compared to 14 between 2014 and 2016 (SANParks, unpubl. data)”. There is also almost no detail on foetuses found in poached female rhinos, rhino orphans, or how many rhino survived attempts or were put down as a result of their injuries. The only reference made was in the 2016 DEA release, where it was noted that 14 rhino were treated, making for 54 injured rhino treated since the beginning of 2014. “Unfortunately, 31 of these were so badly injured they had to be euthanised,” said then environmental affairs minister Edna Molewa in the statement. “So far during 2016, SANParks have rescued 11 rhino orphans, bringing the total to 38 since 2013. At present 29 rhino orphans remain alive and looked after in rhino orphanages,” Molewa said. 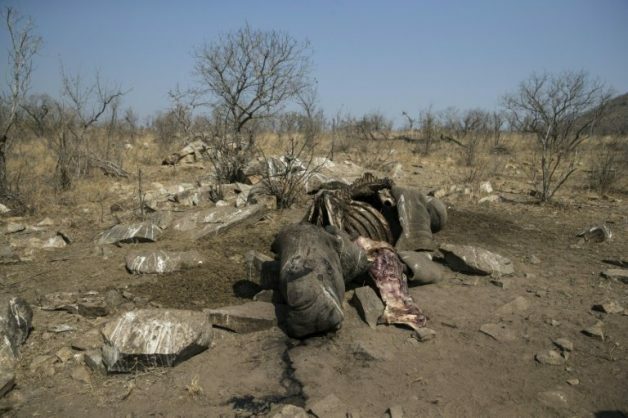 Aside from the above, while the DEA’s recorded data begins at 24 rhino poached in 2006, there is nothing to say how many privately owned and state-owned rhino were killed in the provinces. According to Modise, at provincial level, publicly and privately owned rhino were included in the provincial numbers. Da Ribeira said the DEA was making decisions based on fundamentally flawed and incomplete information. Former managing executive of the Kruger Dr Salomon Joubert said the apparent absence of a census report shortly after each census and/or the moratorium placed on the release of the census results before being approved by the DEA was “seriously concerning”. “This latter process clearly takes a very considerable time, a situation that can only lead to confusion and serious suspicion that either the DEA or SANParks are not being honest with the results,” Joubert said. “Another source of concern is the method adopted for the census of rhino, elephants and other game,” Joubert noted. “This involves block counts and statistical analysis, yielding confidence limits that are so wide apart that the population could either be crashing or flourishing. And providing enough opportunity to hoodwink critics. 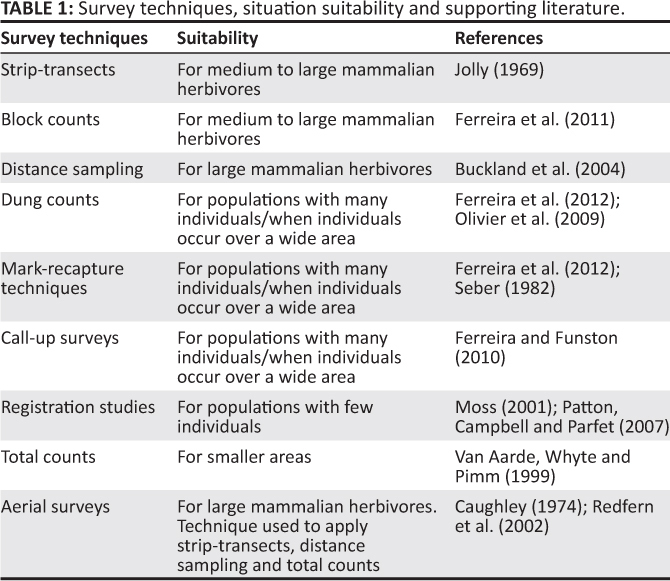 Tables below are from the Realisation of poaching effects on rhinoceroses in Kruger National Park, South Africa, study.